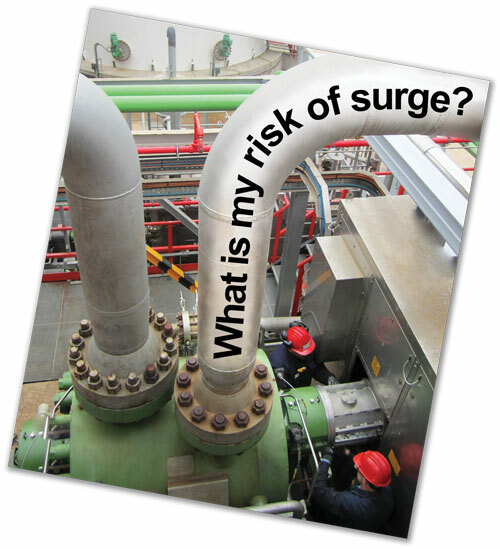 Webinario: What is my risk of surge? Conventional dynamic surge analyses have been greatly improved by recent advances in simulation technology.​ New analysis tools are capable of determining if multiple compressors in series or parallel will experience damaging surge during operation and severe fast-stop upset conditions. Register today for this free webinar, sponsored by Turbomachinery International Magazine, where BETA's experts will introduce these new techniques and tools, along with detailed case histories illustrating their power in creating a safe and robust design. Do I need a hot gas recycle system? What is the optimal recycle valve size? Will the control system avoid surge on ESD or fast stop? How do my compressors in parallel or series interact? Can one unit surge the other? Will reciprocating compressors nearby reduce the surge margin? When do I need to perform a dynamic surge analysis? Free tools will be provided exclusively to webinar attendees, helping them decide when a dynamic surge analysis is required and when it is not. A recording will be available soon. Jordan is a mechanical engineer with a wide range of domestic and international design, field, and monitoring experience with compressors, pumps, and piping systems. He has specialized skills in dynamic surge analysis, vibration, performance, and troubleshooting in onshore and offshore production facilities. Jordan has been with BETA Machinery Analysis for the last 13 years, during which time he has authored and co-authored several papers, most recently on dynamic surge analysis at the Asia Turbomachinery & Pump Symposium in Singapore. Marybeth is lead mechanical research engineer and surge control expert. She has 15 years’ experience in engineering consulting and working with global energy operators, specializing in compressor surge, rotating machinery design, failure analysis, piping dynamics, compressor development and pulsation analysis. She has delivered numerous conference papers, including the 2008 GMRC application guideline on surge control, and holds three patents in reciprocating compressor pulsation control technology. To talk about surge in your facility or project, visit our surge control expert Jordan Grose at booth #319.